Do you want a life with a clear purpose? Do you want to be happy and less stressed? Do you want to be the best you can be? For most of us, "Yes" is an easy answer, but to do this is more of a challenge. This book provides a powerful and personal framework to help you find your own superhero and to be the best version of yourself.It all starts with your core personal values, giving a foundation for the way you want to behave. Values are like a moral compass, guiding us when we face choice and uncertainty. When our behaviour is not aligned with our values, we feel stressed. But when our hearts, minds and bodies are aligned, then we find great personal power. 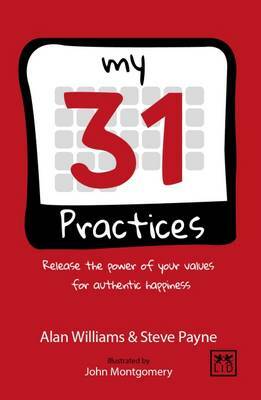 Part workbook, part guidebook, My 31 Practices will help you to identify the right values for your life and then translate them into day-to-day behaviour.